In 1865 it was decided that our church (rebuilt in 1853) needed extending further, and was granted a faculty to take down the North wall of the church and erect a new aisle, and add a space for the organ and choir, take down and enlarge the Chancel, and erect a new vestry. On 23rd of December that year, the new building was re-opened and consecrated by the Bishop of Oxford. This was the end of the major phase of rebuilding (apart from the choir vestry and North porch both added in 1887), and so 2015 marks 150 years of St Michael's in its current form. For more on the history and features of the church see the updated History Page. 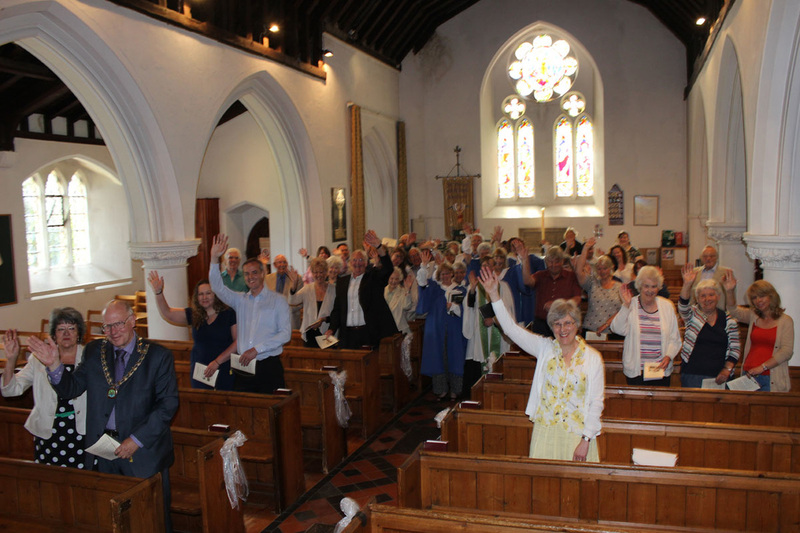 To celebrate the anniversary, there were a number of events which fitted into our Knowing, Showing and Growing theme, and many that specifically looked at the church as part of our community of Sandhurst under the subtitle of 150 years of growth. ​Thanks to everyone who helped with the various events. As our 150th celebrations draw to a close, the occasion was marked with a plaque by the replacement lime tree. The old lime tree needed to come down and a new tree has been planted to take it's place. Symbolically, this took place on the last Sunday of the year. 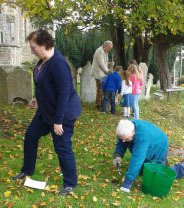 Bulb planting took place in October; large numbers of Daffodils were buried in the churchyard by the young and not so young. Both became dirty and weary. We wait for spring to see if our hard work will be rewarded. 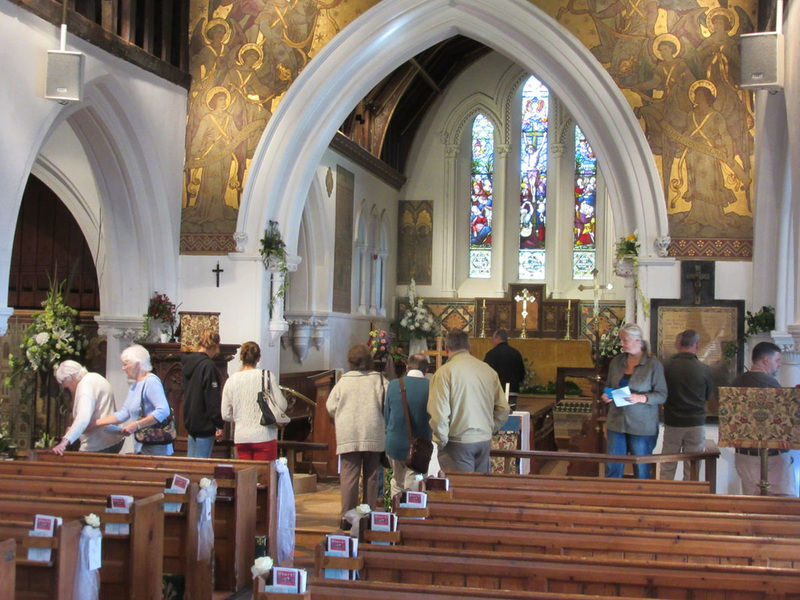 Eleven years after our previous flower festival, St Michael’s Church once again opened its doors and welcomed in the community of Sandhurst over a weekend in September. Over thirty groups including churches, schools, clubs and organisations took part, making this an event which involved the whole town. Over the three days, a constant stream of visitors came to see how these groups represented their place in Sandhurst life. Non flower arrangers found ingenious ways to interpret the theme, complementing the more conventional floral contributions. Participants ranged in age from 3 to 100. The Michaelmas fair, running alongside the festival, provided many shopping opportunities and welcome refreshments. 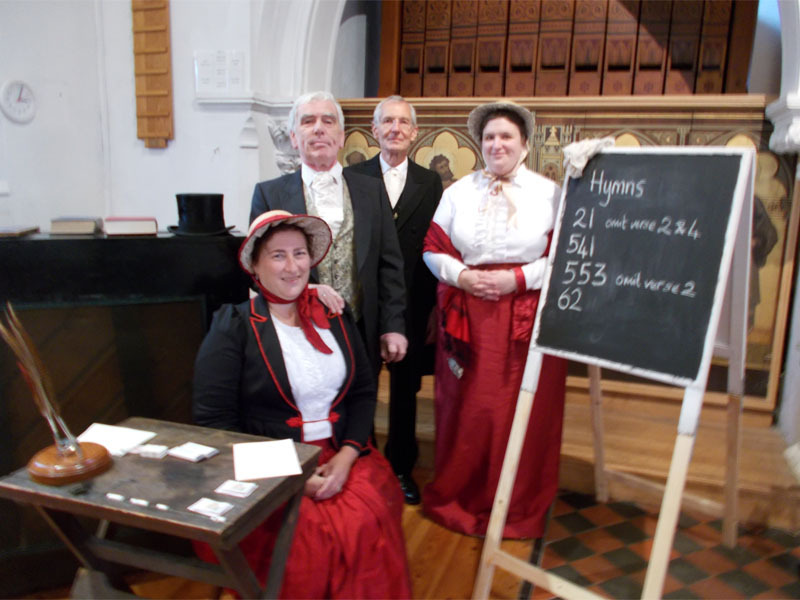 A total of £2500 was raised for church funds. 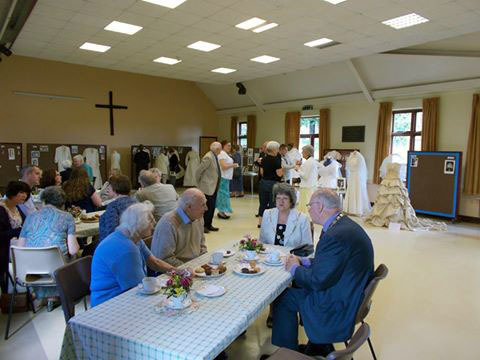 These events take months of planning, but hearing the comments and seeing how much everyone enjoyed their visit made all the hard work worthwhile and thanks must go to the many people involved both in church and the Pastoral Centre. More photos are shown on a separate page. The weekend of the 11th - 13th September saw a celebration of the heritage of St. Michael’s. On the Friday we hosted Little Sandhurst Nursery School and St. Michael’s school (year 6). They all had a tour of the church, and the St. Michael’s school also took part in a Victorian Sunday School. On the Saturday we had the church open all day, and throughout the day, various people came in, some had made a special trip to take a church tour, others, came in as they were passing the church, others, just wanted to take a moment to light a candle in memory of a loved one as well as many other visitors for other reasons. Then on the Sunday, we had a service of Sung Matins as well as the church being open as well as the Victorian Sunday School and Ecumenical service. 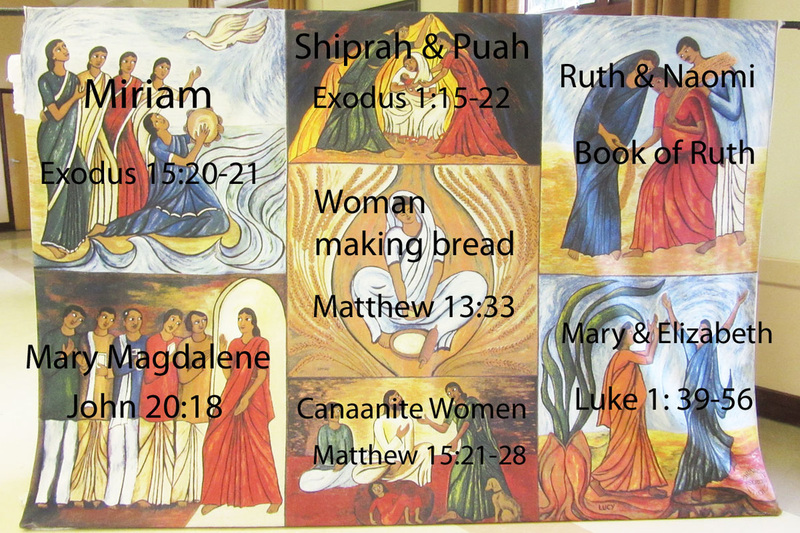 St Michaels has a rich tradition of women in ministry. One of them was Jane Knowles, who was a member of the congregation and became one of the first women priests. 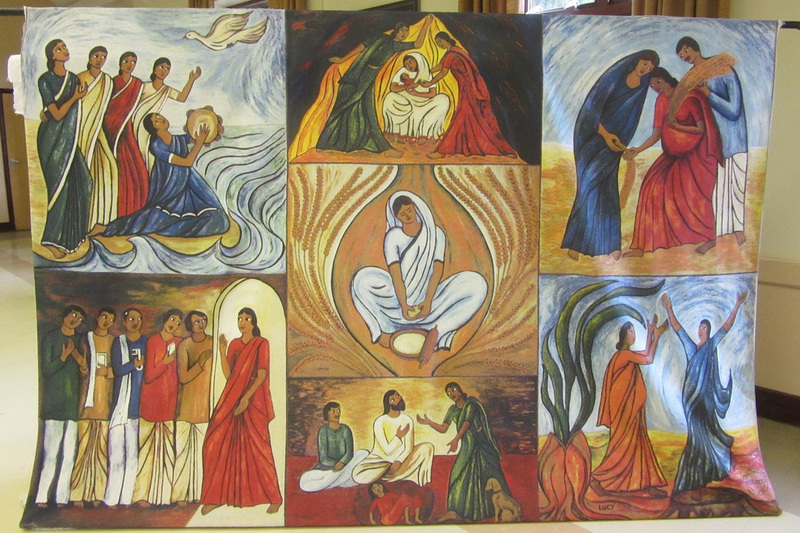 When she left St Michaels she presented us with a hanging depicting seven scenes featuring women in the Bible. Jane purchased the hanging after a visit to India. The hanging is normally in the large upper room, but was on display in the Pastoral Centre during the summer. 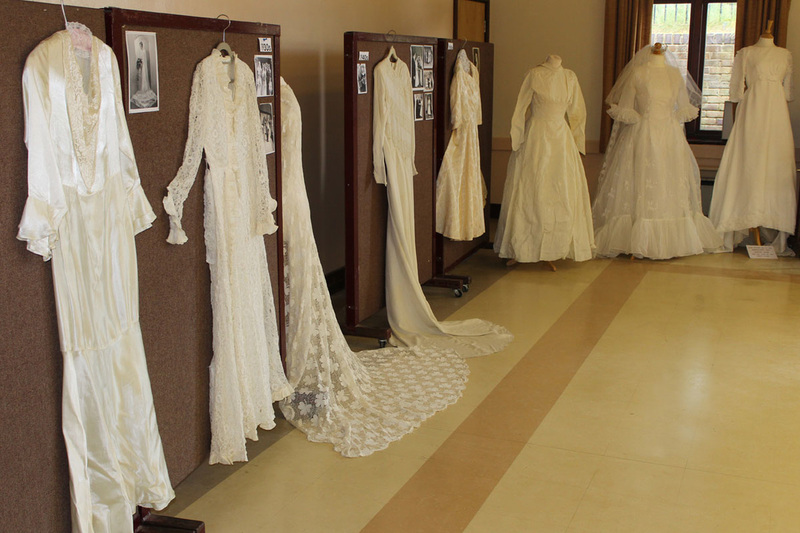 The Thanksgiving of Marriage event took place on 6 June, with a service, a cream tea, and an exhibition of wedding dresses. 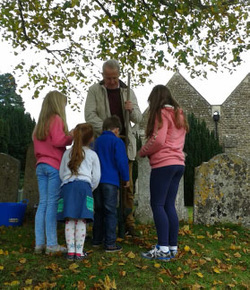 The tradition of Beating the Bounds dates from when there were no maps, and parish boundaries were walked, traditionally prayerfully, by parishioners to pass on the knowledge of where they lay. Our version of the ceremony used only public paths and roads on or near the present day boundary. The event took place in May, but details of the routes are still available on the separate page in case you wish to follow any of the walks independently. 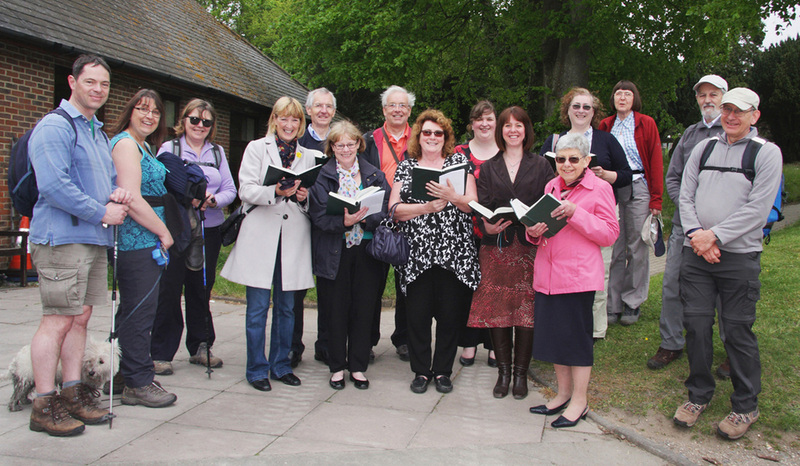 The long distance walkers were sent on their way with a hymn from the choir! There was fierce completion in the Paper Quiz, with several people getting perfect or near-perfect results. The answers are given below.